Medik8 is a pioneering skin research company, working in the field of &apos;sensitive skin green cosmeceuticals&apos; that give results ... without the irritation! The carbon-neutral company uses natural ingredients whenever possible and is dedicated to bringing professionally formulated, highest quality, and 100% paraben-free skincare products to market. Medik8&apos;s development team consists of biochemists and pharmacologists with over 40 years of combined experience in skincare research and product formulation. All the brand&apos;s products are processed in small batches to ensure freshness, stability, and potency. Medik8 incorporates the best ingredients at the correct strength to address common skin problems such as hyperpigmentation, blemishes, and hypersensitivity. For example, a particular antioxidant actually loses potency when in concentrated form. The development professionals at Medik8 research the correct concentration that will deliver the best results. I enjoy using this cleanser because its gentle and I find it doesn&apos;t strip my skin at all. Its perfect for the second step of a double cleanse. It lasts a long time and it hasn&apos;t irritated my skin at all. Will continue to repurchase. What a fabulous Vitamin C! 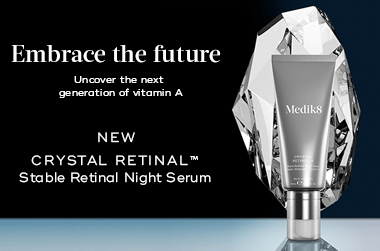 If a clear & bright complexions is your desire then this Medik8 Vit C is your golden ticket! I love the way this feels on your skin. You’d think because it’s gloopy coming out of the bottle it’d stay like that on your skin but no! It gives you ample time to apply to your face before drying. I love it, gives the skin a nice glow. I use it every morning.